This is the preferred set up for most self-loading handguns. 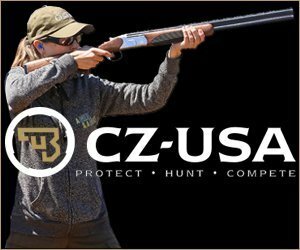 The primary requisite to hitting the target is being able to identify the target, acquire the target with the sights, and hit the target after getting a good sight picture and properly pressing the trigger. It is simply but it isn’t easy. The use of the sights in daylight isn’t difficult. In dim light or when the sights are below eye level in a very close range situation the problem is more severe. 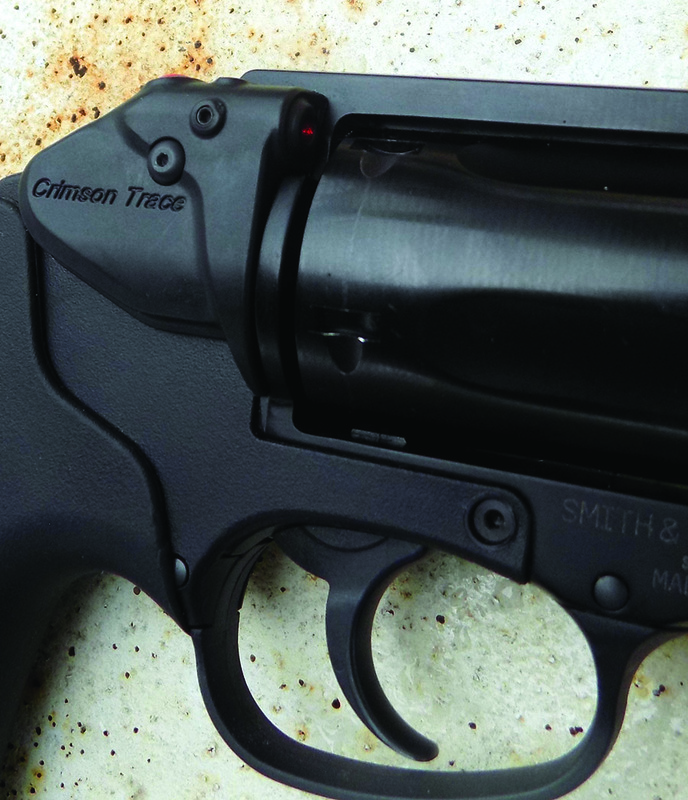 Crimson Trace Lasergrips are one answer. The grips are easily mounted on the pistol or revolver. Once mounted, they sometimes are closely zeroed for close range combat, sometimes they need adjustment for precision shooting. They fit easily and offer a superior firing grip to many factory set ups. Be certain to use the inner cover that covers the grip frame, it is essential for proper installation. There is a small on and off switch on the grip for saving the battery. My personal setup on the Kimber Micro 9 features a pressure switch in the center of the front strap It is easily activated by simply grasping the pistol and bringing the pistol on target. As for adjustment a tiny wrench is used to adjust the laser. It is possible to get the laser beam dead on the point of impact for the point of aim to at least 15 yards. Lasers may be fitted to polymer frame handguns. This Glock also features a combat light on the rail. Micro 9 9mm Luger pistol is a reasonable compromise. Since this pistol is an important part of my defensive battery I have fired the pistol extensively. I have fired well over five hundred cartridges during the past three months. Results have been excellent and I have given the Crimson Trace laser a good workout. The Kimber has proven more accurate with one load or the other but none of the loads failed to feed, chamber, fire or eject. I have fired the Black Hills Ammunition 115-grain FMJ loading for practice within the week, and also tested the Black Hills Ammunition 115-grain EXP hollowpoint. I am also impressed with the potential of the 100-grain Honey Badger loading, a new design that does not depend on expansion for wound potential. I found that is isn’t difficult to properly sight in the Crimson Trace to a precise point of Impact related to the point of aim at ten yards. I found that the Crimson Trace offers a high hit probability at close range. But if you need to make a precise hit and take your time you need to use the sights. Unless you cannot see the sights! The red laser is actually slower to a precision hit, but faster to a coarse hit. In other words this is what is needed in personal defense at close range and in dim light. This is a compact laser sight. At ranges past seven yards you need to use the sights. If you cannot see the sights then the red dot may be a good trick. The laser sight did not go out of zero during the test and there is a lot of momentum firing the 9mm Luger in a Micro 9. 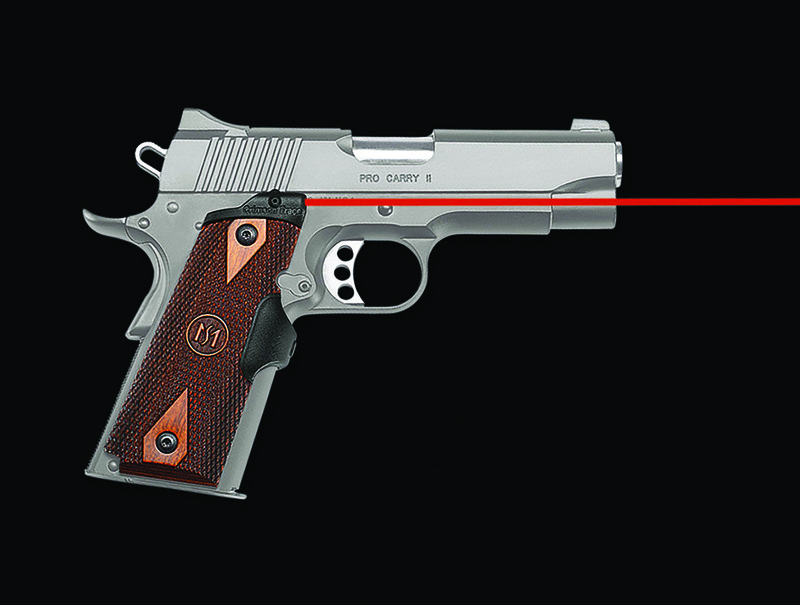 Crimson Trace lasergrips offer good control and handfit, as well as the laser option. keeping the finger out of the trigger guard in a ready position you may meet the light beams path. Some practice is needed in this regard. The Crimson Trace Lasergrip integrates the laser with a handgun grip so the concept is good with firearms that do not have a rail for mounting lasers. 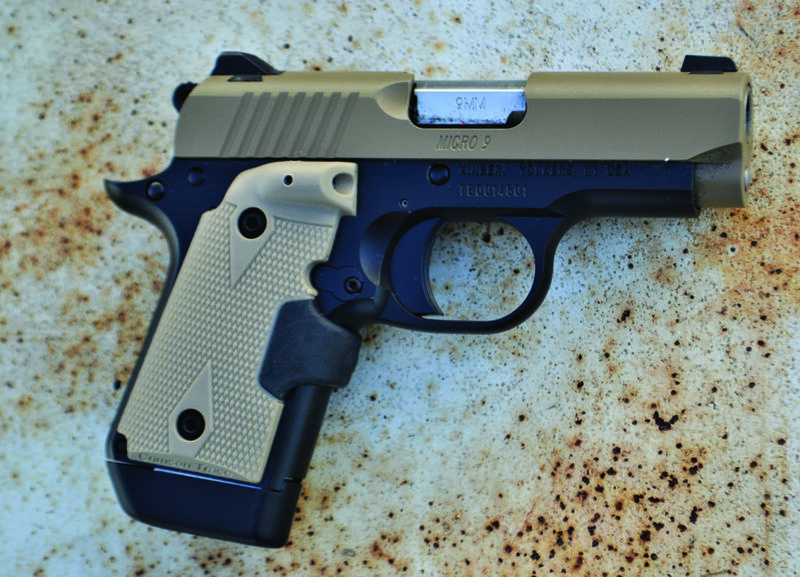 Handguns with a rail may be mounted with a combat light for good all around utility. The Smith & Wesson Bodyguard is among the author’s favorite revolvers. is only a second’s time for them to desist or for the decision to shoot to be made. I am not going to brandish a firearm as a threat. 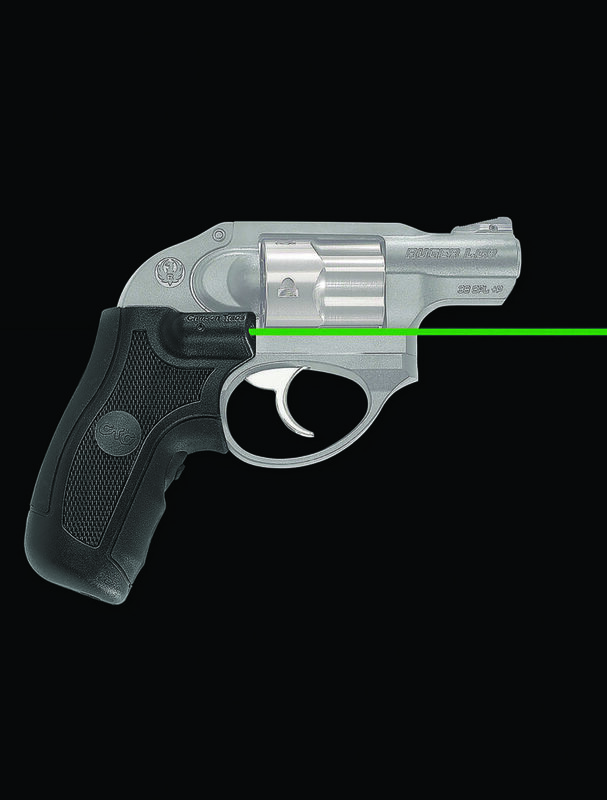 As for training the laser gives an instant feedback of a less than perfect trigger press if you practice with the piece during dry fire and with the laser on. Flinching or milking the trigger shows. No one can hold the handgun completely steady. Those with visual problems may find the laser sight works well for them. As I have stated I would use iron sights for a precise shot but the laser sight allows good aiming when you are firing at moderate to close range. 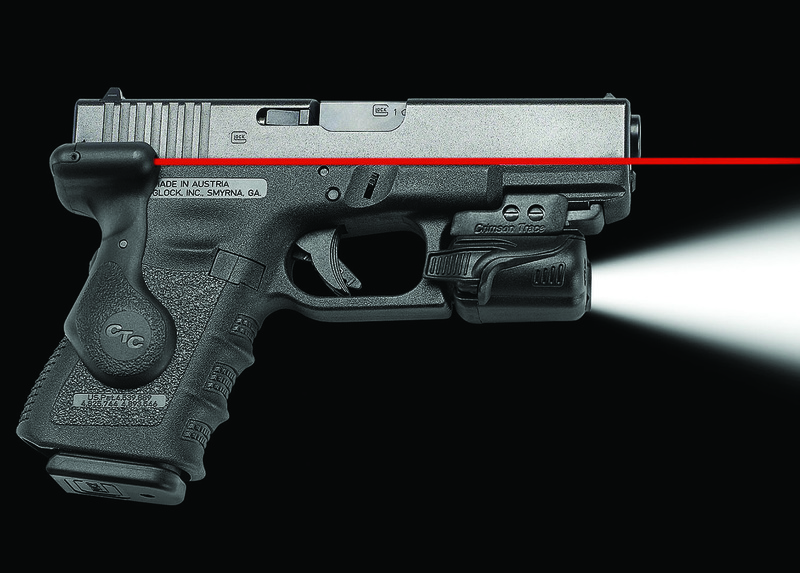 In dim light you will need a flash light but if there is any light at all the Crimson Trace is highly visible on the target. While the beam is always visible it is target identification that is the problem. You need to use the front sight on the target, press the trigger technique whenever possible. Looking for the bobbing red dot at close range has defeated several students and slowed them down. But in that low light fast shooting situation—the laser works like nothing else. The Kimber Micro 9 is a well-designed and reliable handgun. eye is not behind the sights. Laser sights cannot replace iron sights or marksmanship training. The dot size is about a half inch at 15 yards. The unit uses two 2032 batteries with a life of four hours. The sights seem impervious to water, oil and solvent. They are service grade. They need to be cleaned occasionally as the aperture that admits the laser may become occluded with dirt, dust and other material. Overall—good kit worth its price to save your life. The Crimson Trace Bodyguard .38 combination is unobtrusive and reliable. The Crimson Tracer laser is often supplied on factory handguns with a reasonable upcharge from standard units. The Smith &Wesson Bodyguard .38 is a polymer frame revolver, so the grips cannot be changed. 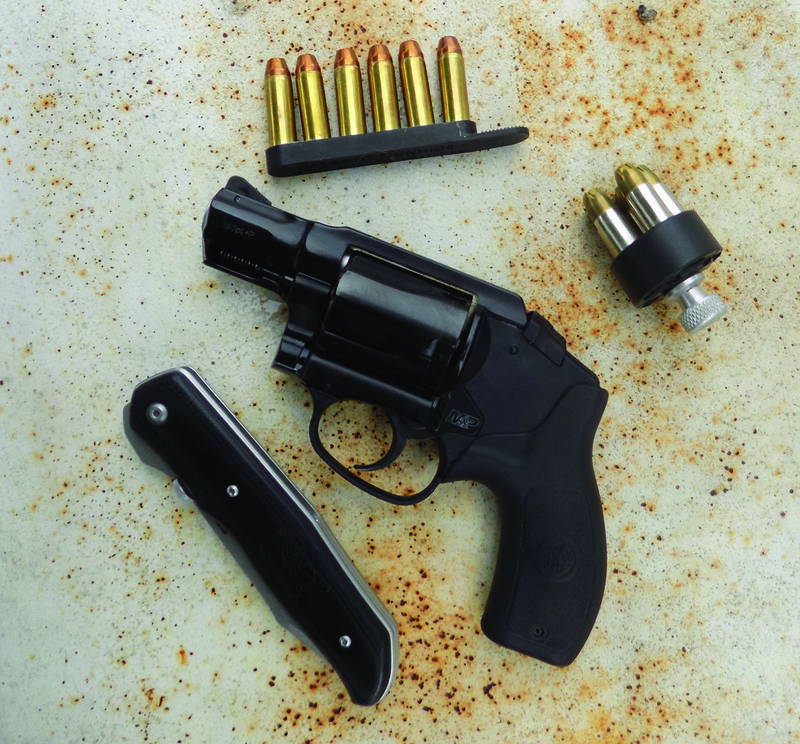 This is a well-designed revolver, lightweight, inexpensive compared to most Smith and Wesson revolvers, and it serves a real purpose in personal defense. 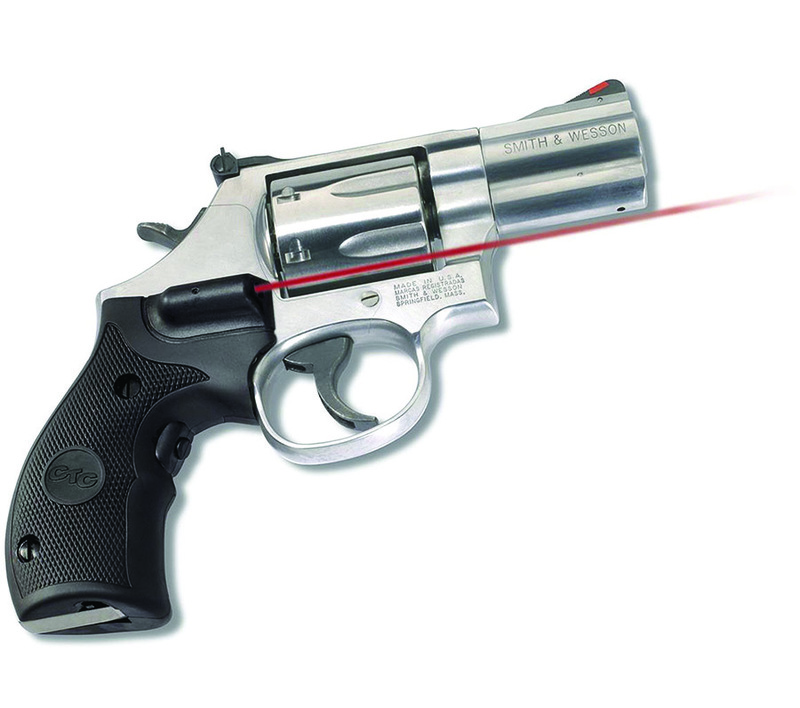 Crimson Trace developed a side mounted laser for use with this revolver. I have used the type extensively. There is a setting for a pulse beam as well as the standard beam. The drawback is that the thumb must reach over the top of the frame to turn the device on. With practice it isn’t slow but neither is it as easily activated as the pressure switch of the Kimber Micro 9. The Smith & Wesson Bodyguard often rides in a Blackhawk! pocket holster, along with a load of Black Hills Ammunition 100-grain Honey Badger ammunition. The Crimson Trace laser helps in hit probability in dim light. I often carry one or the other of these handguns on night time walks and when walking my Dingo, Lucy Pariah. The Crimson Trace doesn’t give me confidence, skill does, but the laser device is clearly beneficial for most shooters.